Only Simon never makes it out of that classroom. Before the end of detention, Simon's dead. And according to investigators, his death wasn't an accident. On Monday he died. But on Tuesday he'd planned to post juicy reveals about all four of his high-profile classmates, which makes all four of them suspects in his murder. Or are they the perfect patsies for a killer who's still on the loose? I enjoyed this book, especially the characters. 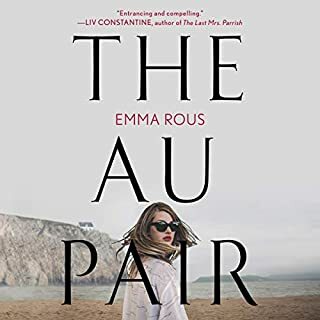 I didn't find that there were as many twists and turns in the plot as I would have expected, or hoped, but there was enough to keep me entertained throughout. The narration was good, and it was nice that there were different narrators for the different characters. An enjoyable YA read. The characters are believable and relatable. The ending felt like a cop out. I was very let down by the final chapter and what really happened to Simon. this book definitley kept me on my toes! it was a fun and thrilling ride! 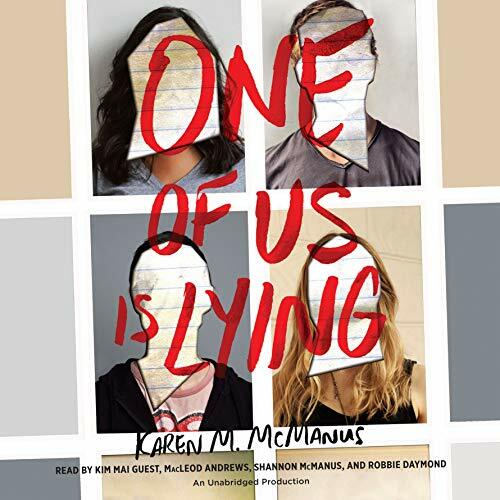 I pre-ordered One of Us is Lying by Karen M. McManus because right away it sounded like an episode out of Gossip Girl (and I'm telling you, I loved Gossip Girl!). 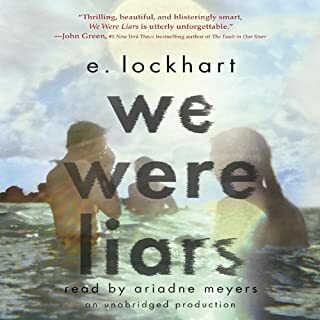 I also liked that there were multiple narrators, which I haven't experienced too much in audiobooks. 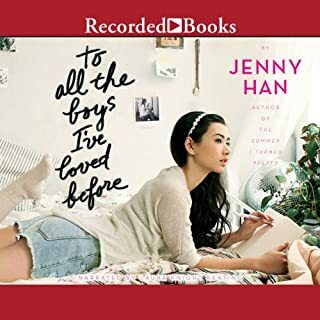 I'm glad I spent the credit on this book, and if you like teen drama or the "whodunit" type mysteries, you will enjoy it as well. I thought both the writing and narration were great! It's told in alternating points of view by each of the 4 teens. Throughout the entire story I was thinking I knew who the murderer was. It wasn't until the last part that I realized I was totally off base. Wow! I didn't expect that one at all! It kept me guessing. 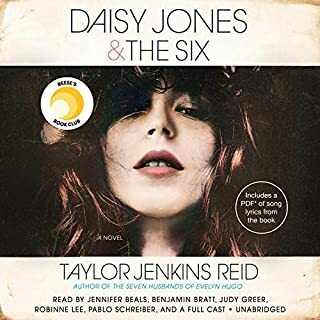 I recommend this audiobook to those who like mysteries, drama, and teen characters. 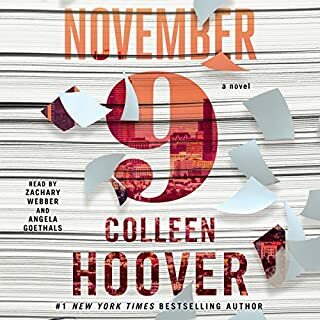 It's not a thriller, nor is it an "edge of your seat" read; it is just a really good murder mystery that starts right away and ends 10+ hours later. It kept my interest throughout, and I felt like I got to know each of the kids well. It was a mix of Gossip Girl (TV show) and Clue (the movie & boardgame)....might be a bad comparision, but just know I used to LOVE them both! :-) I definitely think it is worth the credit, and I am looking forward to listening to it again in the future! For Karen McManus’s first novel, she dives into the world of high schoolers faced with typical challenges like college applications, sports, and dating. However, these particular teenagers have a less-than-common problem – they are all under investigation for murder. As the story of four unlikely partners in crime unravels, you’ll be guessing right until the very end – whodunit? Four narrators tell the story from each point of view, giving you a real feel for each of the main characters. A blend of The Breakfast Club meets Pretty Little Liars, One of Us is Lying is a thoroughly engrossing YA novel that won’t let you put your headphones down. Unknowing Witness or Murder Mastermind? This is a high school mystery filled with guilt, heart and is complete with so many dirty little secrets. I could not stop listening to this story once I started. I gobbled it up rather quickly. It is one part fun, many parts drama and at times very scary. 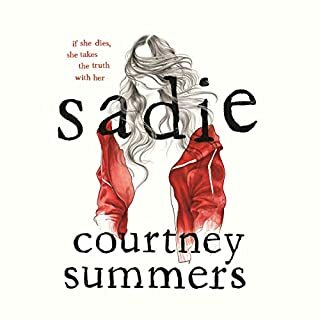 I have come to really enjoy the young adult genre and after being out of high school for some time now I believe this story has the characters with just enough sass, vulnerability and minimum life experience to be realistic. This is written with multiple POV and gives different vantage points of the story. 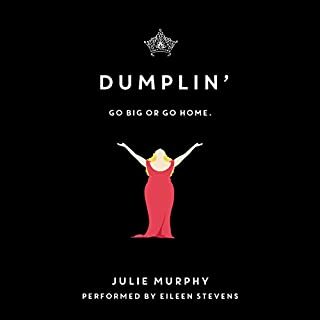 I really liked this as it was performed by a full cast giving the character’s all distinct voices. The characters are sneaky and this book proves that you never know what goes on behind closed doors. There are definitely stereotypes throughout the book, but that is expected because who’s high school didn’t have them? 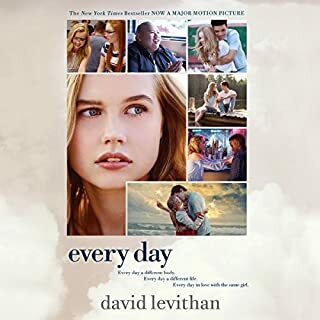 At times the plot does feel like it has been done before but then out come the under lying teenage themes of the pressure to succeed, wanting to be liked and a whole lot of self reflection. Let’s not even mention the mystery that I was endlessly trying to figure out. The narration was just amazing and I could not pick a favourite performance if I tried. The Southern accented Cooper or the soft spoken Addy, hard nosed Nate or last but certainly not least sophisticated Bronwyn each bring distinct flavour to this story. 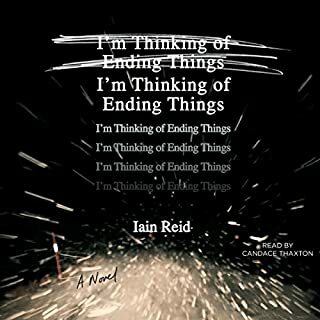 Each has moments of anger, sadness and happiness which each narrator captures perfectly. A great listening experience. 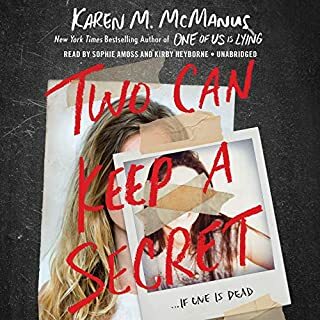 Would you ever listen to anything by Karen M. McManus again? SLIGHT SPOILER ALERTJust disappointed...This is a classic example of an author who has a promising idea but not the ability to carry it out. Entrepreneur with the big idea but no engineering to bring it to life. The premise of the book was exciting. I found it during it's pre release phase and, based on the brief description given, I was hooked and found myself thinking about it every few days up to its release. Obviously a nod to John Hughes with a twist, the idea was a strong. Five kids go into detention and only four leave - a modern setting for the age-old "who dunnit". The storyline between characters was good. There were enough surprises and unique pieces added to each characters backstory to make them interesting and modern. There were plenty of details dropped to follow. These, however, were more like lines and less like red herrings. No idea challenged you to mentally chase it. You just added it to inventory of things to keep up with. The killer was pretty easy to guess - no real shock. 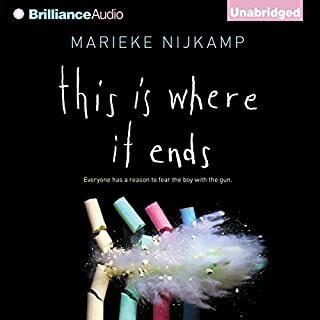 The killer's accomplice, however, was horribly written (the biggest disappointment for me) and COULD have been so much better. NOTHING in the story provided any background that would have led me to believe this character would have gone to the extremes written. Ridiculous. This character was so wrapped up in himself...he would NOT have done this. In fact, it was so far fetched, that I initially thought it was an incredibly clever deception by the author. It was, however, a flat delivery and felt like a rushed exit. I had no feelings for the accomplice but no belief in his actions either. The other thing that bugged me were the narratives. These are high school kids providing a narrative that vacillated between a believable "high school kid" and an omniscient narrative that just felt out of place. The kids provided too detailed and at times too mature/dramatic descriptions for the age of their characters. There were stereotypes and cliche points to the letter for some characters. Lot's of "girl power" written in the story too without the need. Guy's humbly submitting themselves to the girls who are in control (Ashtyn and Bronwyn) when they've done nothing to deserve the power they've been given. So, what COULD have made this spectacular? 1) The voice actors should have been allowed to voice their characters when called to speak in each person's narrative. 2) A little more realistic narrative from the high school kids. They are high school kids narrating their feelings not romance novelists trying to poetically describe the world around them. 3) Had Jenea (sp? 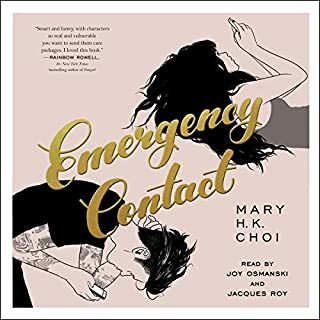 I purchased the audible book and not the actual book to check the spelling) been the killer (or at least the accomplice) she could have been lying to Addy about Jake to frame him. During the time she was confronted by Addy and was confirming Jake's role, I really believed the author had created an INCREDIBLE twist and that Addy would have believed Jake was the accomplice when it was really Jenea. THAT would have been an awesome twist showing that Jenea had been jilted by Simon and she had masterminded everything while throwing suspicion on everyone (including Jake). When I learned that was NOT the case, the rating when from 5+ to 2 at best. "One of us is lying" is a misleading title for this book... unless you consider the author or the title itself as the "one" that is lying. this book is more of a teenage love story rather than a murder mystery. 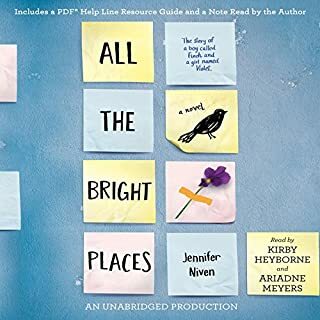 It's not bad as far as story goes, but IF you are hoping for a murder mystery for your road trip, and you don't want to listen about teenagers love lives for hours this book is not for you. 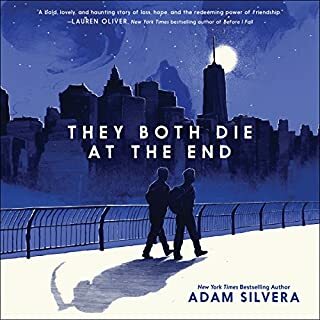 The story starts with a group of kids serving detention for having cell phones in class but before detention is over, one kid has a medical emergency and dies which turns everyone else into suspects. This story follows the other kids and exposes their deepest secrets all before exposing the deepest of all. Interesting to see who actually killed Simon and why. A lot of twists and turns and shows that everything is not always as it seems. I loved this book. I couldn't wait to finish it. the story kept me on my toes and the performance for very believable. I didn't expect a lot from this book so it was a pleasant surprise. What made the experience of listening to One of Us Is Lying the most enjoyable? The various voice actors were so great; there wasn't one that I thought could've done better or lagged behind the others. I did have this theory of what was going to happen and I was so sure... Basically, throughout the whole book, I kept coming up with new theories and it always kept me on my toes. Karen M. McManus is definitely skilled at what she does. What other book might you compare One of Us Is Lying to and why? There's really nothing I can compare to this novel. It is one of those books about who killed this person, so you have this CSI kind of thing with a dash of The Breakfast Club. I honestly thought it was so original in a way that you wouldn't think could be. I listen to a lot of books and this is the first time I've heard anything by these performers. Every single one ingrained themselves into his or her character so well that, like I said above, there isn't one that I can say didn't match the others. I actually love the tagline for the book. Something like: "See if you can figure this out..." and then it describes the setting of the characters and the room where they had detention. I think that would work for the movie as well. That being said, if this is not made into a movie, I will be shocked. Seriously, this book may seem to have a cliché premise, but it isn't that way at all. It's definitely worth listening to. You will not regret it and, if you do, well, I apologize. However, I was enthralled from the first chapter to the end of the book. It wasn't my favorite book of all time, but it definitely will be one of the top 10 for 2017. 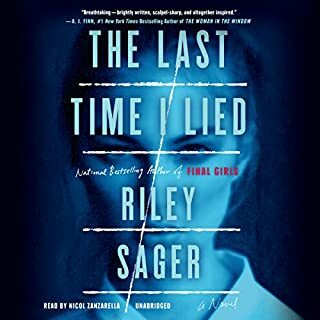 I love a good YA thriller or suspense novel, and One of Us is Lying sounded like a great read, and for the most part it really was. Was it super suspenseful, edge of seat, can't take my eyes (or ears) off it till I'm done? Not really. But it did make me think, and did have a lot of mystery going on, which was still fine for me. I'm not going into the synopsis as other's have done a great job, and it's pretty short and simple fact of who killed Simon? 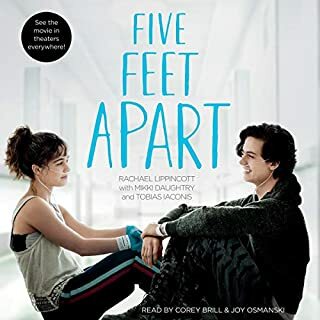 We are introduced to four teens (well...five if you count the dead one), and, just as others said, it's a suspense spin off of the Breakfast Club, which I found to be intriguing, and a pretty cool take on the original. Out of the four teens we are able to delve into their every day lives, and get a good take on their personalities, and I truly felt each character was portrayed perfectly for their "type." I really did enjoy their demeanor's, and how we got an insight into how they thought. As for the story line, I felt it was pretty darn decent. Again, not a massive edge of your seat thriller, but it did have the suspense level there as for the majority I couldn't figure out who did it. I did, however, keep thinking it had to be this off the wall twist, and it wasn't, as my guesses on who really did it were actually accurate even though I kept telling myself it couldn't be that simple so dismissed it before the thought fully formed. That being said, I still really liked it, even though the ending was a little too anticlimactic for me. 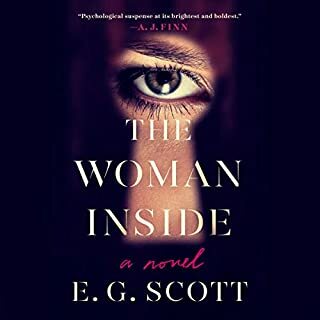 It was still good, I still enjoyed it, and I did like the suspense, budding romance, and other side stories of the characters, and I do recommend it as a light suspense story. I enjoyed this book immensely. 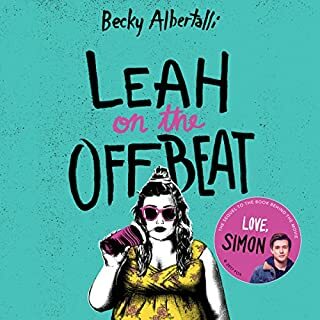 The four main characters each have a secret they may not have wanted Simon to share. The secrets are generally obvious, but no less important in the grand scheme of high school confusion. The narrators, with the exception of Bronwin (who sounds SO much older than her character) were great choices. Time and place are clearly indicated, the distrust and ultimate resolution of relationships between these four main characters were realistic and sufficiently messy. Don't let the YA label stop you from reading this book. It's a worthwhile read.